Great blog, Kim. I love The Princess Bride novel as well – and can still remember how gob-smacked I was to discover even the frame was fiction! Christy, you’ve given me new reading fodder. Thank you! I’ve read a lot of Kristen’s blogs. Now I’ll have to get this book. If for no other reason than for the title. Great post, you corny thing, you. Takes one to know one my peaches and cream friend! 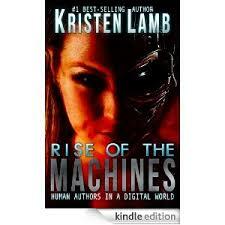 I just finished Kristen’s book and it changed my ideas about social media. Now I need the time to incorporate some of her advice into my daily routines. Great post, Kim. 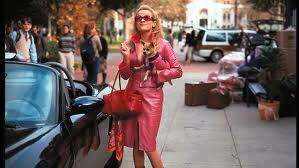 And I’m a “Legally Blonde” fan too! I love Legally Blonde! Mainly because she shows everyone she does have what it takes and she’s classy and beautiful to boot! And this is why I love you. We both find the innappropriate appropriately funny 😉 And I will check that book out! I’m intrigued! Oh the Princess Bride, around here we have our very own Princess Buttercup 🙂 Okay, so we call her Princess Buttercup Airi 🙂 Loved your blog!! !